I discussed the Green Deal in my first blog 2 weeks ago. Since then there has been a flurry of articles in the national press on the scheme, some positive and some negative. So I thought I would offer my own opinion on why the Green Deal has not taken off yet. "Making energy saving improvements to your property could increase its value by 14 per cent on average - and up to 38 per cent in some parts of England ... For an average home in the country, improving its EPC (Energy Performance Certificate) from band G to E, or from band D to B, could mean adding more than £16,000 to the sale price of the property. In the North East, improved energy efficiency from band G to E could increase this value by over £25,000 and the average home in the North West could see £23,000 added to its value." A recent Government commissioned survey of 900 homes provided further positive feedback about Green Deal assessments. 75% of households rated the usefulness of Green Deal assessments as being high. 77% of households also stated they had confidence in assessors’ recommendations. So there has been some very positive news (spin?) on the Green Deal. I continue to believe that the Green Deal scheme is good in concept, if a little more complicated than it should be. The main problem is that much of the British public is not quite ready for it. Our homes may be draughty, but just not draughty enough. Our energy bills may be high, but just not high enough. Remember that last year the big energy companies had a hard time even giving away free insulation! The British public are concluding that the financial costs (plus the nuisance factor) of making their homes more energy efficient are not yet outweighed by the benefits of carrying out the Green Deal funded home improvements. This will change when our energy bills reach a level at which they can no longer be ignored. This tipping point may be coming soon. The recent change in tact from the Government in their Green Deal publicity, whereby they are now pushing the message that Green Deal home improvements will significantly push up the value of our homes, may just work. They are cleverly tapping into the British public's obsession with house prices. If there is some truth in the Government's statement, and energy efficient homes are starting to command a price premium, the Green Deal may be about to take-off. This brings us nicely onto one of the technologies that the Green Deal may be able to assist householders in financing - Hydroelectric Systems for the home. How do hydroelectric systems work? Hydroelectric systems (also known as hydropower systems) convert running water, usually in the form of a nearby river or stream, into electricity. Hydroelectric systems can take the form of very small installations, designed to power a single home, or larger 'community' installations that can power several homes. How much power will a hydroelectric system generate? The smallest domestic hydroelectric systems will typically generate around 5kW of power - more than enough electricity to power the typical home. Larger 'community' Hydroelectric Systems can generate up to 50kW, which is enough electricity to power more than a dozen homes. What are the advantages of hydroelectric systems? Hydroelectric Systems are very reliable, and will normally generate electricity all year round. The electricity generated is normally higher in the winter than in summer months, which mirrors actual electricity usage. Where should hydroelectric systems be sited? Hydroelectric systems need flowing water to work, usually in the form of a river or stream. Not all rivers and streams will be suitable however. You should speak to a 'certified' installer about site suitability before committing. We also recommend that your site is capable of connecting to the national grid. This is vital if you want to sell any surplus electricity back to the grid. What consents will I need? You will need planning permission from your local Council and permission from the Environment Agency before you install. How much do hydroelectric systems cost? Installation costs can be high (expect to pay £25,000 or upwards for a small domestic installation). However, maintenance costs are low as hydro systems are highly reliable. Most systems can continue to operate for at least 40 years! Expect a payback period of up to 20 years, but this can be significantly reduced in optimum locations. Is there any grants or other funding support available? The Green Deal scheme may be able to help you pay for the steep upfront costs of the installation through Green Deal financing. The installation costs will then be paid back over time, with interest, through your electricity bill. 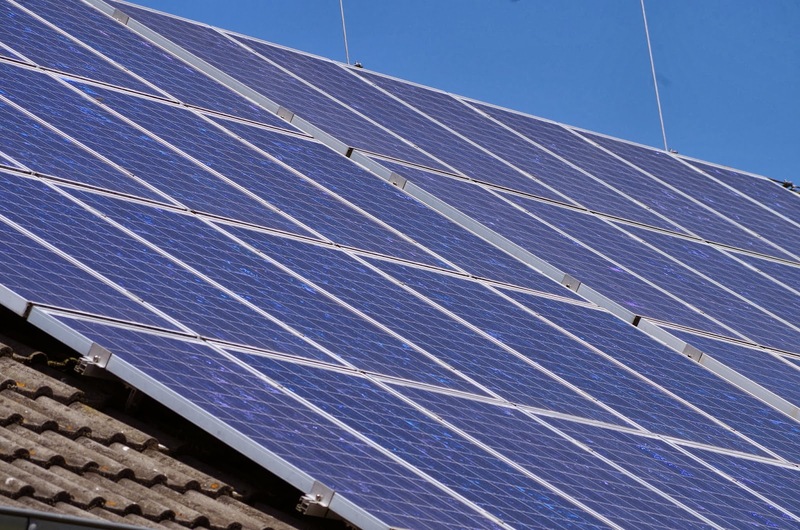 Your electricity supplier may pay you a Feed-in Tariff (F.I.T.) for generating your own electricity by hydro power. You can also sell extra units of electricity back to your electricity supplier for a tidy profit through an Export Tariff. 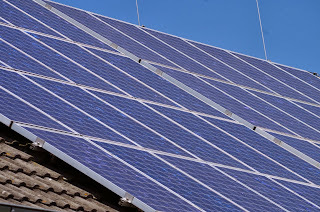 For the latest Feed-in-Tariff rates go to www.gov.uk/feed-in-tariffs. In optimum locations (rivers or streams with either lots of flow or a high speed of flow) specialist companies may offer to install the equipment for free. They will do this in return for income generated through the Export Tariff. The benefit of these schemes is that households can tap into the free energy generated without paying the high upfront installation cost. For case studies and practical advice on siting a hydroelectric system, check out the Environment Agency publication: Hydropower: A Guide for You and Your Community. The obvious point to make is that most homes are not sited close to a suitable river or stream. Therefore for most of us hydro power is simply not an option. However, if you do live close to a suitable water course, whilst the high upfront costs are rather daunting, it is still well worth considering hydro power given the reliability and longevity of these systems. You will invariably recover your upfront costs over time, and could make a tidy profit through an Export Tariff. Is anyone aware of any cheaper domestic hydroelectric systems out there? Has anyone had a hydroelectric systems installed? We would be keen to hear from you. Last week I profiled the Green Deal as a way to fund home improvements that will reduce your energy bills. This week I'm staying on this theme by explaining the options out there for generating your own energy. Most of us will be aware of domestic wind and solar power technologies, but I want to feature some of the other domestic energy generation technologies that are available. The majority of these technologies have been around for a number of years and have proven to be robust and highly efficient. But for whatever reason, they have not been embraced in the UK to the extent that they have elsewhere. This is a great shame, because there are some really superb systems out there that can greatly reduce your energy costs. The first technology I would like to profile is micro combined heat and power (also called micro-CHP or cogeneration) systems. Micro-CHP systems generate both electricity and heat, using natural gas as a fuel. Whilst not strictly a renewable energy generation equipment, these systems deserve attention as they are highly efficient and will substantially reduce your energy costs. Industry experts expect Micro-CHP systems to supplant the domestic boiler to become the norm in our homes in the coming years. When my boiler has come to the end of its life I will definitely be looking to replace it with a Micro-CHP system. Staying on the boiler theme, the second technology that I would like to highlight is the biomass boiler. This is basically a wood burner connected to a home's central heating or boiler. Biomass boilers work by burning the wood fuel and then storing the heated water produced, which then feeds into the central heating when required. Your biomass boiler could also earn you money under the Government's Renewable Heat Incentive scheme. Ground source heat pumps and air source heat pumps operate by extracting heat (either from the ground or air around your home) and turning it into hot water in a water cylinder. The generated hot water can then be used to heat your home. A great benefit of heat pumps is that they double up as cooling devices, and can be used to maintain a comfortable temperature in your home on warm summer days. Heat pumps are also highly efficient and require little maintenance. Heat pumps can be used in tandem with underfloor heating to dramatically reduce your heating bills. Hydroelectric systems (or Hydropower systems) convert running water, usually a nearby river or stream, into electricity. Installation costs can be high (expect to pay £25,000 or upwards! ), but maintenance costs are low as hydro systems are highly reliable. Not many people can say that they have an HEP source at the bottom of their garden. So these devices may be expensive but they make a great status symbol! If I had the money, and lived next to a river, I would certainly be looking into installing one. The purpose of this piece is to highlight that there are options out there beyond solar panels and wind turbines. Over the coming weeks I will be assessing these technologies in greater detail. I will also be flagging up the potential sources of funding (beyond the Green Deal) to help pay for their installation. The regularly updated House-Saver website will also continue to be a great source of advice on domestic renewable energy and energy efficiency home improvements. In the meantime if you have any comments on these technologies, or if there are any renewable energy technologies that I have not mentioned that warrant attention, please let us know. Hello and welcome to House-Saver. The purpose of the House-Saver website is to inspire you on ways to make money and save money from your home. Thanks for all the great feedback. A big thank you to the Government Planning Portal for letting us embed their excellent Interactive House on the House-Saver website. This has proved a great way of bringing the website to life. In my first Blog I want to focus on the Government's Green Deal scheme. House-Saver places a major emphasis on identifying ways to save on your energy bills and to generate your own energy. The Green Deal can assist on both accounts. The Green Deal has been receiving mixed press in recent weeks. Last week the BBC website published a piece on the lack of take-up of the scheme so far. This is a real shame because we at House-Saver think that the Green Deal is an excellent initiative. We believe that the Green Deal can be the solution to Britain's notoriously draughty homes. The Green Deal can help fund (often expensive) home improvements, which if carried out properly, can dramatically reduce our energy bills. This scheme could not be more timely, with most commentators expecting energy bills to continue to rise and household finances to continue to be squeezed. Okay, so the Green Deal is a bit complicated, with its 'assessors', its 'providers', and its 'installers' - but it does not need to be. We are still in the early days of the scheme - the message will get clearer - the benefits will get clearer too. We will soon be hearing about real-life examples of where the Green Deal has helped households to fund home improvements that have reduced their energy bills. Our message to householders - take advantage of the Green Deal in order to keep a lid on those ever rising energy bills. Next time, I'll be staying on the theme of reducing our energy bills. Most of us will be aware of domestic wind and solar power technologies, but I want to feature some of the other domestic energy generation technologies that are available. There are lots of options out there. I will be reviewing biomass heating systems, micro hydro plants, micro-CHP systems, ground source heating, air source heating, and a few other rather unconventional ways to power your home!